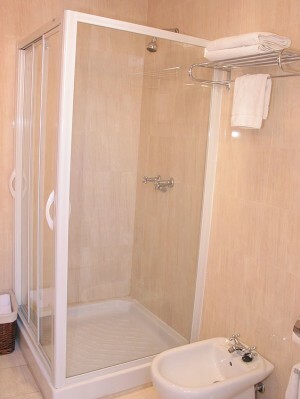 Located in the center of Seville, in the economic, monumental, cultural and comercial district of the city, more specificly in the Arenal quarter. 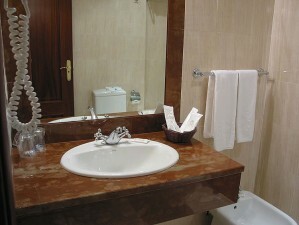 In between the famous Santa Cruz and Triana quarters. On one side you find Colón avenue, on the border of the Guadalquivir river, where the Maestranza theatre and the Bullring are set, and on the other side it is next to Plaza Nueva, the central square of Seville, Sierpes and Tetuán street (shopping) and Constitution Avenue, that leads right to the Cathedral, la Giralda, the Alcázar and the many restaurants, bars and gardens of the neighbourhood. 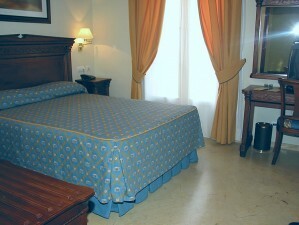 Hotel Adriano is the perfect starting point to knowing the cosmopolitan Seville of the 21st century. 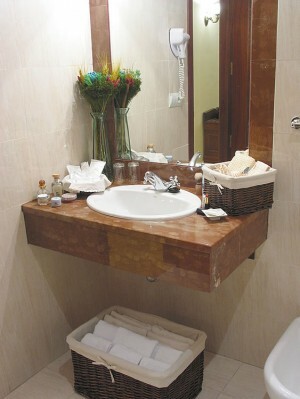 The hotel is not only strategicly located, it also has very easy access. 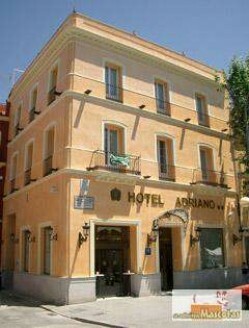 Hotel Adriano combines a relaxed and comfortable atmosphere of a classic Seville with the latest developments in technology and management. 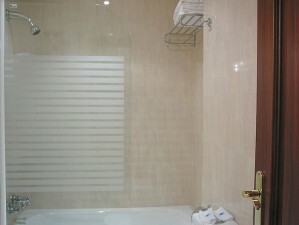 It is the ideal place both for commercial visits as for pleasure. Check-in is possible from 14:00 onwards. 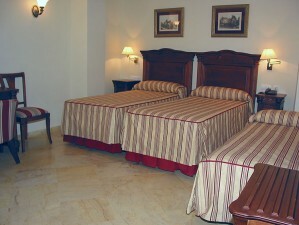 1 child up to 2 years are free of charge per room. Children above that age are considered as adults. Private parking available for EUR 18.19 per night.